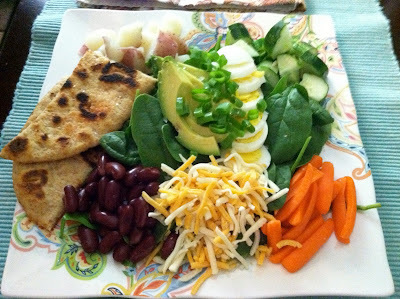 I'm feeling a cold coming on so I figured a protein and nutrient packed salad might help. So, I whipped up this beauty. Spinach, kidney beans, carrots, cukes, half an avocado, 1 hard boiled egg each, 1 small red potato, scallions and shredded jack for me and feta for him. I grilled a piece of whole wheat naan to add some carbs. 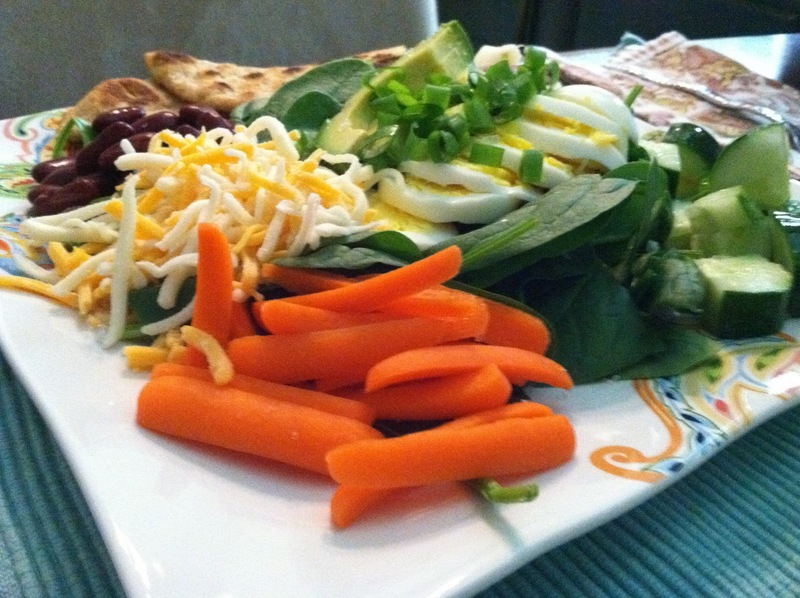 I hate eating salads that leave me feeling hungry a half hour later. The naan and salad combo left me full, but not stuffed. Topped with Annie's Light Honey Mustard. Now time to watch Pan Am which I DVR'd last night and am loving so far.